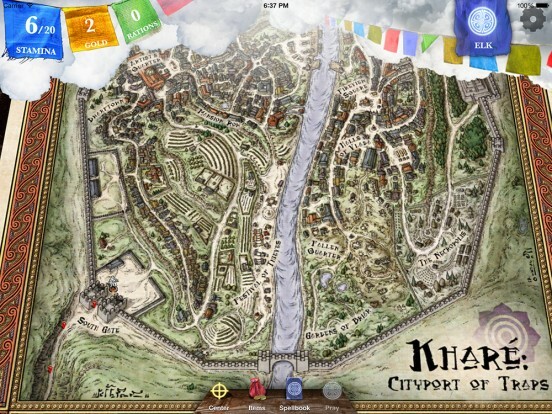 We chat with the brains behind Inkle about the Sorcery! game and how creatives can use their own tools! Those of you whoâ€™ve been reading DGM for awhile doubtless read my review of Steve Jacksonâ€™s Sorcery! 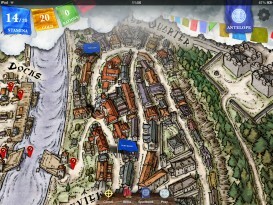 by Inkle Studios. Well, Inkleâ€™s Jon Ingold and Joseph Humfrey kindly agreed to sit down with us and tell us a bit about Sorcery! 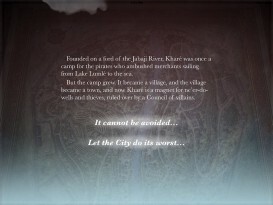 2: KharÃ©, the Cityport of Traps, what fans can expect, what theyâ€™ve learned through this process, and, also, how fans can start creating their very own multimedia adventures through their free Inklewriter toolkit! Hey, guys. Thanks for sitting down with us today. We’ve had a chance to play through your game adaptation of Steve Jackson’s Sorcery! 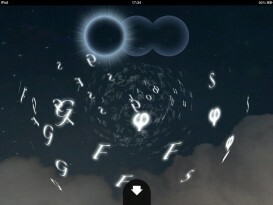 for iOS, which is really incredible. (Iâ€™ve probably played through it ten times and keep finding new little twists I didnâ€™t find before!) And of course, now weâ€™re on the cusp of when youâ€™re releasing Sorcery! 2, which weâ€™ve all been waiting for with baited breath. As such, letâ€™s delve into that a bit, and then finish up with how our readers can use your own inklewriter engine to create multimedia stories themselves! Would you care to share with our readers a little of what they can look forward to with Sorcery! 2? Sorcery! 2 is bigger, meaner, and more intricate. Itâ€™s not a walk through the hills any more â€“ you step into the walls of KharÃ©, the Cityport of Traps, a town of mutants and murderers ruled by pirates. The city is on the brink of revolution, the Council scattered, and the secret to leaving the city has been lost with them. You can explore the city in whatever way you want, including looping around and backtracking, but youâ€™ll find things change over time â€“ shops open and close, passers-by move on â€“ so every time you play theyâ€™ll be different things to discover. The structure of the game is also a detective story, too; there are mysteries to be uncovered and riddles to solve. Above all, itâ€™s big. Itâ€™s at least four times longer to play than the first game, and thatâ€™s if you settle for a sub-optimal conclusion. You can visit almost every street of the city, and also go inside several of the buildings and explore in more depth â€“ Mike Schley, our cartographer, has done a series of detailed interiors that merge into the main map. Thereâ€™s also new enemies to fight, a revamped spell-casting system, and Swindlestones, a game of dice, conversation, and cunning. New areas within KharÃ© include complex houses like this one. Obviously, Iâ€™m guessing there are some limits to what â€œnewâ€ elements you can add when adapting a beloved game. With that said, are there any special new twists youâ€™ve addedâ€”such as gender effected gameplay options (like certain characters may hit on you or offer to do things for you based on your gender which could give new options), or things like that? The deal with Steve was always â€œStay true to the spirit of the books, not the wordsâ€ â€“ so actually, weâ€™ve gone overboard with new content. The original book of KharÃ© is about 60,000 words long â€“ our version is over 300,000, with nearly 10,000 options. Frankly, we have no idea how weâ€™re going to top this in Book 3! Wow. What was it like to work with Steve Jackson and the folks over at Fighting Fantasy for these games? Steve Jackson is one of my heroes, and the Sorcery! series â€“ in particular, the last book, The Crown of Kings â€“ was one of the things that got me interested in the idea of interactive storytelling in the first place. My elder brother had it, and for a long time wouldnâ€™t lend it to me, but Iâ€™d see him pouring over it, lost within its pages, and it developed this fascination for me. Then when I finally got my hands on it, and I found it every bit as cunning and deep and convoluted as Iâ€™d imagined. Steveâ€™s other Fighting Fantasy books are similarly inventive â€“ he has a restless creative spirit, always coming up with new ideas, or ways to turn old ones on their heads. I think thatâ€™s one of the reasons the Sorcery! project has come out so well â€“ some authors would be precious about their material and their ideas, whereas Steve is up for anything that turns them upside down, throws away assumptions, and makes something new. Now what is the official release date on Sorcery! 2? Sorcery! 2 hits the App Store tomorrow, the 7th of November. Just a few more hours to wait then! !Â I canâ€™t wait to get my hands on that.Â That sounds like a review that could blow the last one out of the water, which is pretty hard since it got a perfect 5 moon score. Now, let’s rewind and discuss some of the elements that you unveiled with the first adventure! While I personally loved the choice, when you first released Sorcery!, did you run into flack from the die-hard dice fans for omitting visible dice rolls in favor of more streamlined back end randomizers or did they realize the service it did to the storyline? Amazingly, we didnâ€™t. We were expecting quite a lot of flack for that, but the reception has been generally positive â€“ from people who found the new system â€œas random as dice rolls anywayâ€, through to people who got to grips with its more strategic and puzzle-like components. Those people really saw that it made more sense in a Sorcery! game to have combat that isnâ€™t random, but is rather about out-thinking and out-witting your opponent. Entertaingly, though, weâ€™ve put dice back into the game for Part 2, with the introduction of Swindlestones; a gambling game based on rolling dice and then lying about what youâ€™ve got. But even itâ€™s really a psychological game, and again itâ€™s about facing down the different types of AI. Whatâ€™s the most interesting thing youâ€™ve heard from a fan about the game? The most amazing thing has been from people whoâ€™ve shared their Epilogue screens with us via Twitter. We didnâ€™t actually put that in as a feature, but you can take a screenshot and post it. And people have been trying to max the game out and find perfect runs â€“ one guy managed to end the game with 72 Gold Pieces, and I didnâ€™t even think there were that many in the game. I have a feeling, come KharÃ©, heâ€™s probably going to get into triple figures and weâ€™re worried thatâ€™ll probably break the UI. I can imagine so.Â Now that we’ve chatted about the new game, let’s discuss how our artistic and creative readers can create some of their own incredible adventures! Iâ€™ve had a chance to look through your multiple path version of Frankenstein and your Future Voices app. All make use of your multimedia creation toolkit, the Inklewriter Toolkit, which allow you to make multimedia stories without programming knowledge and which you make available free of charge to creatives. While itâ€™s not quite as complex as what youâ€™ve released through Sorcery!, itâ€™s still extremely powerful and has led to some creative uses, both overtly and in the back end for other games. 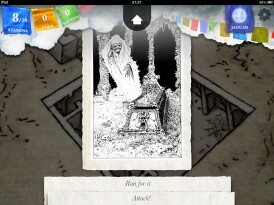 Inklewriter Toolkit allows creatives to create multimedia adventures without programming! 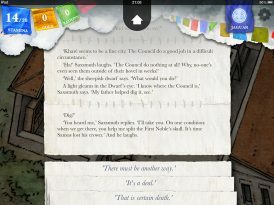 So, going back to the beginning, what led to your creation of the inklewriter engine in the first place? When we first started inkle, we had the idea that we wanted to create a platform and a community around interactive stories. While we specialise in creating individual bespoke apps and games, we wanted to create something bigger than that, and make an effort to push interactive stories more into the public consciousness, helping other aspiring writers and developers to use our model, if they want to. With inklewriter being used so much in schools right now, we’re hoping that we might be able to inspire future interactive writers in the way that gamebooks did for us in the 80s and 90s. For me, inklewriter is a tool Iâ€™ve always wanted to have â€“ Iâ€™ve tried writing choice-based games lots of times over the years, but never quite had a way to do it that didnâ€™t get out of the way fast enough. I spent more time thinking about how it worked, than what I wanted to write! And I think we had a sense that, if interactive stories are going to be a â€œthingâ€, then more people need to be able to play around with them. If I couldnâ€™t get to grips with writing one with programming experience, thatâ€™s not much good for straight writers. I completely agree. I grew up on Choose Your Own Adventure books and really loved the free thinking, but it was a real pain to create that sort of set up physically or digitally (if you werenâ€™t a programmer). A lot of our readers are looking to create new forms of media, beyond just film, and I think your engine offers a great place to begin that. 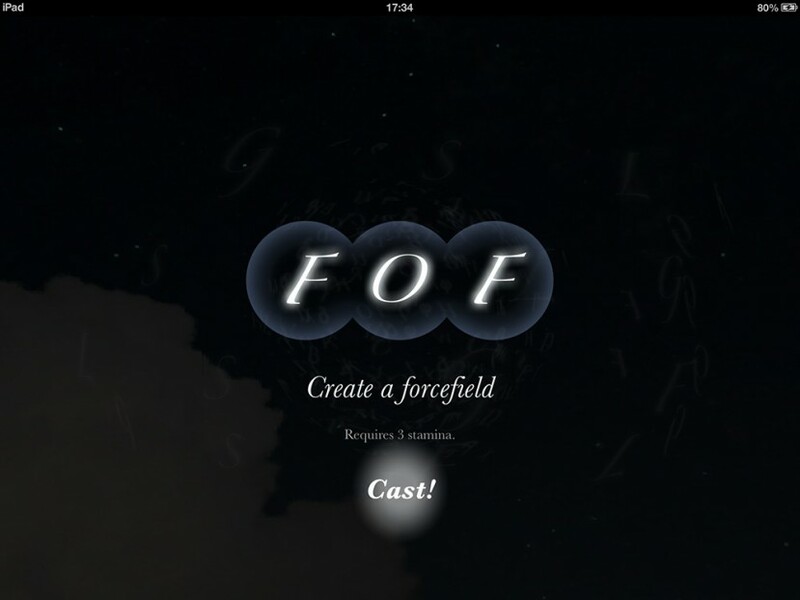 What does the inklewriter engine currently allow creatives to do? What are its limitations? Inklewriter is a free web-site that lets you write and share branching, interactive stories without any fuss or programming or technical knowledge. Itâ€™s designed to let people who want to write stories with choices in it just get on and write. But itâ€™s also pretty powerful, and you can track what peopleâ€™s choices are for determining future interactions. The big innovation in inklewriter is that it presents whichever branch of your story you happen to be writing as a linear story that you can just get on and write, creating options that you have yet to follow-up on (we call them loose ends) and pursuing whichever thread you want to write at the time. Inklewriter keeps track of all your loose ends (and dead ends! ), so you can easily find where you need to go next to continue your story. Other than that, itâ€™s super-easy to use, and when youâ€™re done, thereâ€™s a share button that gives you a link to a playable version of your story thatâ€™s always updated whenever you make an edit, and you can share that link however you like â€“ on Twitter, Facebook, or by QR code, if you must. Oh, I think we must! Thatâ€™s really cool, guys. I know you can embed images, but I donâ€™t think it yet supports video embed. If not, you might wish to consider making that available, as that might be a cool way to allow the sort of mini-movies we saw in Mystâ€”which could open a whole slew of creative options. With that said, where do you see the Inklewriter story creation engine going eventually? I think we donâ€™t really know, to be honest; when we built it we had no idea if people would get it, or like it, and itâ€™s been a lot more popular and successful than weâ€™d anticipated! But itâ€™s also a free site, so it doesnâ€™t generate any revenue for us, so itâ€™s hard to spend time pushing it forward. Yeah, that is a really great idea. 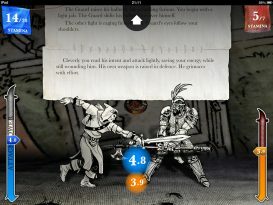 Any plans to allow the ingestion of 3D maps and cutouts into Inklewriter so that users could make some of their own tabletop RPGs similar to Sorcery!? Not in the short term, no. The kind of graphical representation that we do in the Sorcery! games takes quite a lot of time and effort to get right, and weâ€™re constantly fighting with the memory and performance limits of all but the most recent Apple hardware. Itâ€™s not the kind of thing you can easily port into a web-browser! Makes perfect sense, even if some of us are sad that we canâ€™t import 3D maps and the like! What distribution offerings are you currently able to offer with the Inklewriter creator? But we quickly found people wanting to try different forms of distribution so weâ€™ve now added two other options: first, for $10, authors can have their story converted to an eBook for Kindles, so they can put their story up for sale on Amazon, and weâ€™ve published quite a few authors this way now. Secondly, we let people get the raw data for their stories â€“ not much good to a writer, maybe, but to a game dev that means a way of authoring branching content for their own projects â€“ and this is exactly what Stoic Studios are using inklewriter for, with their Kickstarted Banner Saga project. Thatâ€™s really awesome. As your initial works all started out exclusively as iOS apps but are starting to be converted to Droid (at least for Sorcery! ), what are the challenges in going from iOS to the Droid platform? 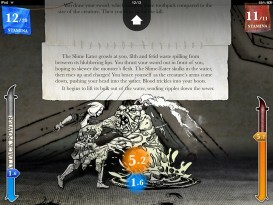 Part of what allows us to develop apps like Sorcery! with such a small team is that we choose to focus on one platform at a time, and we only make completely native apps, to give the best experience to the player. Unfortunately, that makes cross-platform development difficult. To achieve the look of Sorcery! 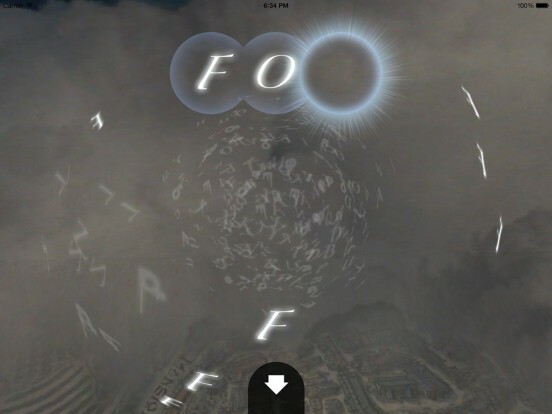 we layer up a lot of semi-transparent images, like clouds, the soft tattered edges of the canvas that the text is printed on, or the glowing letters in our new 3d spell-casting system. While it’s hardly Grand Theft Auto, all these layers of transparency are a lot of work, even for the latest iOS device. So, while we’ve got a really talented ex-Google friend hard at work on the conversion, there’s quite a lot of work in making the experience as smooth and polished as it is on iOS. I can imagine. Is part of the difficulty also the number of manufacturers of droid products vs. a single manufacturer of iOS products? One problem with the number of Android devices out there is that they have a huge variety of different screen sizes, whereas Sorcery has been designed very specifically to look perfectly crisp and pixel-perfect on the limited range of Apple devices that we know are out there. Another problem is that a lot of Android tablets and phones have very high resolution screens without the [power] in the CPU to power them. Sounds like a nightmare. Now, for readers who’d like to get started creating interactive stories, like those seen in Future Voices, where can they go for a basic Inklewriter tutorial? Very nice. And for our readers who would like to step into more interactivity and gamification, are there any tutorials that go more in-depth through the randomization process for items/events, how they can impact future choices, and how to register unique items that people could pick up and use later? Speaking of gamification, the folks at Survivor Z have used the Inklewriter toolkit as a way to allow players to create mini story lines and submit them as possible addons to the game. Any plans to either facilitate fan collaboration on an actual game (sort of like a game version of Future Voices) or to create an Inkle game that includes this form of expandability? Thatâ€™s an interesting idea! And we were really interested by what the Survivor Z guys have done. At the moment, itâ€™s not the direction weâ€™re going in, but weâ€™re looking to make inklewriter a more open platform for devs to use â€“ so that anyone can author content, and then get the data ready to use in an app. Thank you so much for your time today, guys! We’re all looking forward to your next chapter in the Sorcery! series tomorrow and hopefully we’ll seem some new folks latch on your Inklewriter system to create new and innovative content, as well!